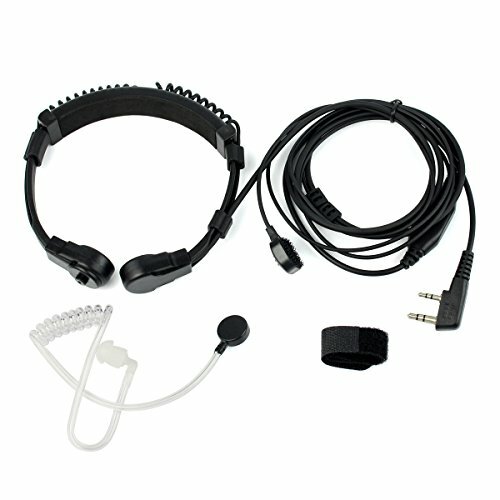 The throat mic fit on neck well to transmit by vibration; sensitive enough to the move, so you'll talk naturally with your partners. Flexible neck behind loop can be adjusted the size according to different neck size. Ideal for use in airsoft games; elk hunting season; running; club; cycling; hunting; camping; paintball; driving night clubs and concerts etc. Please position the loop correct and well on your throat. You'll get a awesome mic performance use experience with loud and clear sound to make your partners understand you.